Groundbreaking news! 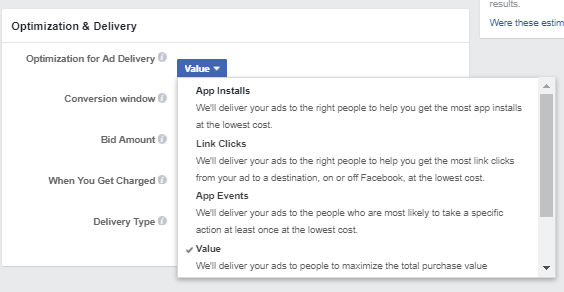 Once again, Facebook has stepped up to ensure that advertisers maximize their ROAS, by enrolling the new Value Optimization for App Installs objective. Looking back, the last major change was the release of App Event Optimization back in Q4 of 2016, giving advertisers the ability to optimize towards main events according to their KPIs. 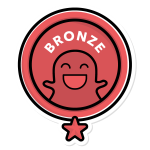 This was followed by the release of value-based lookalikes, which allows advertisers to target users who are likely to be most valuable to their business. Now Facebook is going deeper inside the funnel and has launched Value Optimization, with an aim to assure that advertisers get the best return on ad spend and the most valuable users from their advertising efforts. The Facebook Value Optimization tool has launched recently and, like the previous big launch, it comes with a few questions. So, what do we know about it so far? You can choose the parameters of conversion window, delivery type and when you get charged; however, you still can’t set the bid amount. When working with Facebook, advertisers expect to maximize the return on their ad spend. As media buying methods developed over the years, optimization towards value reflects the most effective way of consumer behavior characterization: the algorithm, through machine learning of massive data, exposes the ads to the most relevant users and helps get more paying users with higher ARPPU. Like with most new features, the first thing you should have is patience. The algorithm is based on real data and machine learning, and as time passes it gathers more data and should bring better results. From our experience, it’s always good to set various tests for various audiences, comparing the different optimization methods – for example, split testing App Event Optimization vs. Value Optimization. So far, we’ve seen up to 13X higher ROAS using the Facebook Value Optimization goal. It has proven itself as an adequate solution for app partners in various verticals who are in search of increasing their return on ad spend. In addition, we experienced higher ARPPU with our partners – in some cases, more than 2X higher. 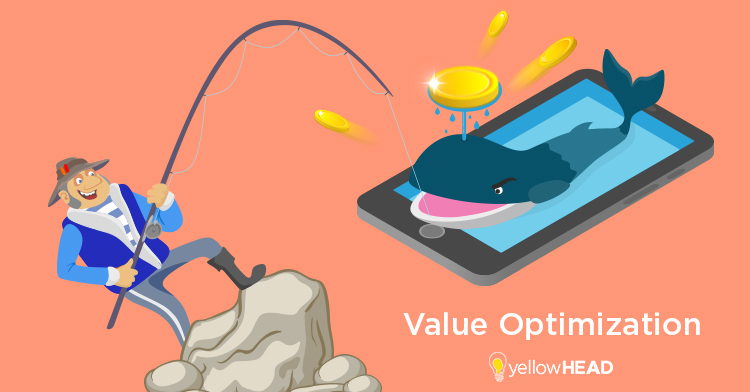 In all our tests, the Value Optimization tool/goal has “won” significantly, with one side effect: in most cases, we’ve seen higher CPI rates that were 4X higher than usual App Event Optimization efforts. We truly believe that the new value optimization goal will continue to bring advertisers even better results going forward. As Facebook proceeds to ensure higher ROAS for advertisers, we are going towards more efficient, effective and profitable ad spending in the future. If you have any questions about this new tool, or want to let the experts run your Facebook campaigns for you, contact us!